I knew it would happen. I built my saw rack with a limited number of slots, then I go to an estate sale. The estate sale was for a woodworker by the name of . He passed away last year and now some of his tools have made their way to my shop. 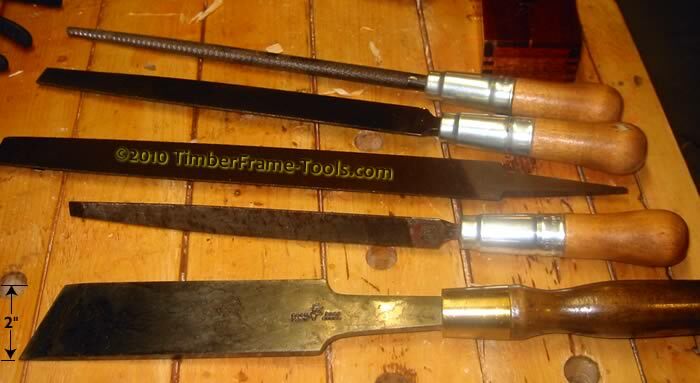 You may think it strange that I mention a man I had never met by name, but I feel it is interesting to have some history on the tools that enter my collection and this blog is the best place I can think of to archive that. He had a huge collection of useable tools and it seemed like they were well used. For the three $20 bills I had in my pocket, this is what I came away with. Triangular File 10″ long 3/4″ faces (Poland? Fortunately this back saw is still in original shape. Sadly the thumbhole tote has been coated in thick poly... that will have to be removed. 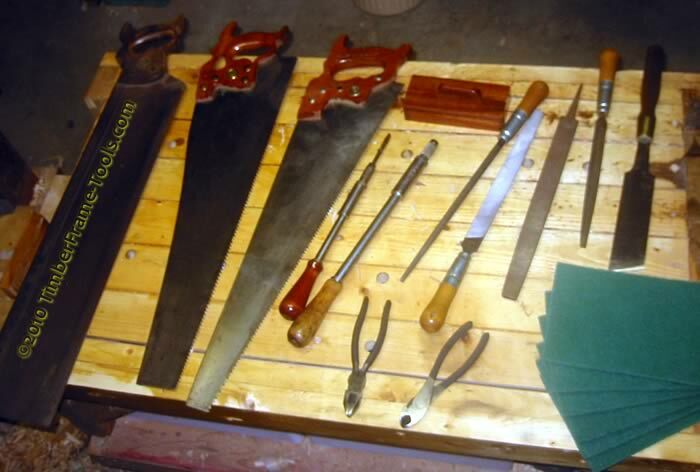 The saws are all in good condition. My only complaint is that the previous owner had a real love of thickly applied polyurethane on his saw handles. 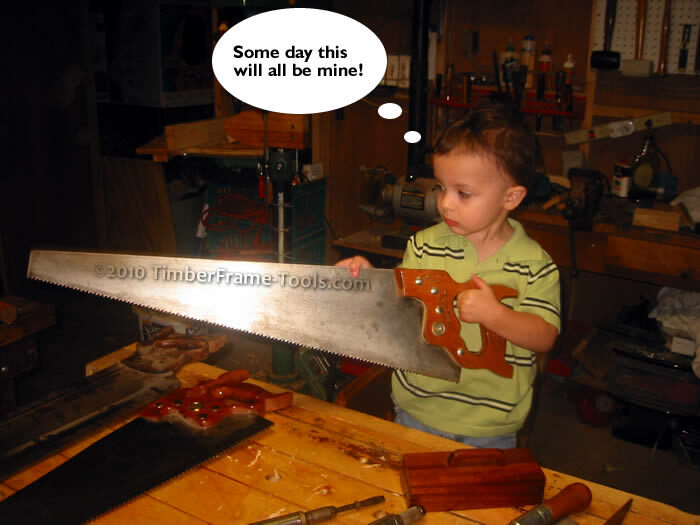 Fortunately he left it off the old miter saw. Cleaning that off of the thumbhole rip saw is not going to be fun, but it needs to come off. 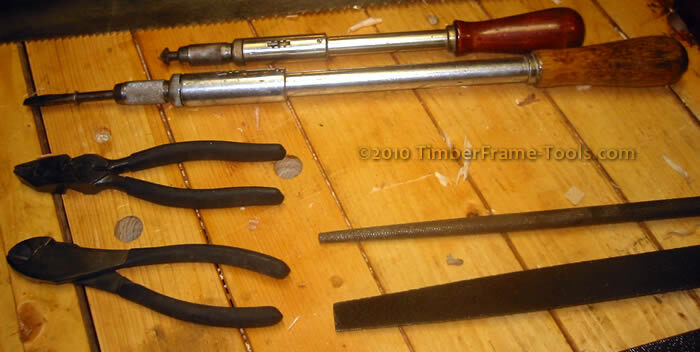 The modern Craftsman pliers and diagonal cutters seem out of place next to their much older tool brothers. The North Brother Yankee Drills are impressive. The little one is in perfect working shape while the larger one seems to be missing its return spring. However that seems to not be a problem. Given its size, this is more of a two-hand tool so you end up holding the sleeve which extends the ratchet without a problem. It is hard to get a sense of scale on this. 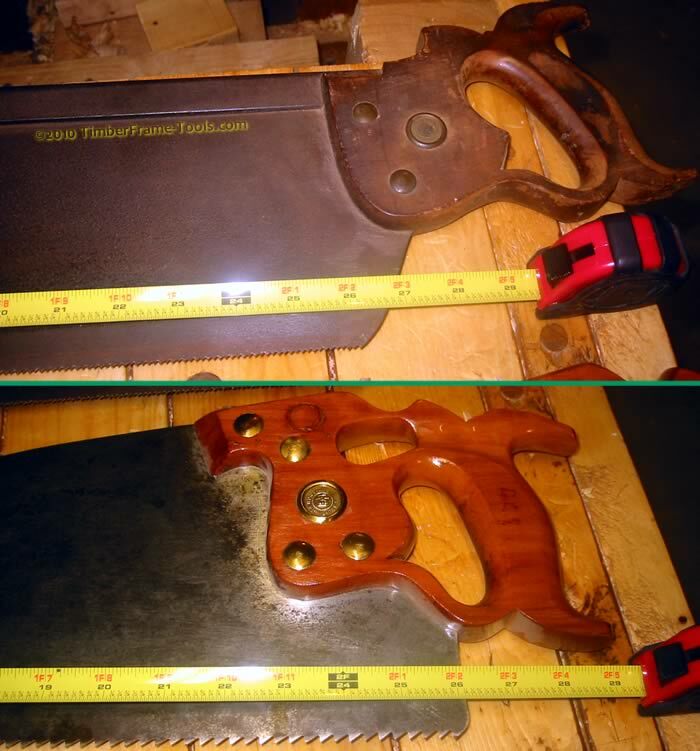 The files are all over a foot long and the Buck Bros Skew chisel is 2" wide. It is a monster. Going through someone’s old woodshop is both interesting and a bit sad. The family was unsure of what they had and what to do with all the tools. There were easily 40 hand saws alone in his collection. The planes and chisels were gone by the time I got there. I did my best to respect both the tools and the family as I looked through what was there. It did give me pause to consider how my tools will be passed on and what my shop will look like when it happens. Hopefully when the time comes, my son will still have as much interest in them as he shows now. How can you not love the sight of boy carrying a saw that is longer than he is tall. Rest in peace Bud, at least some of your tools will be well used, and appreciated. Very cool finds. Nothing like those old Disston saws. I can’t seem to turn them down when I find them. I prefer the ones made prior to WWII whenever possible, but most any made pre-1960 are still pretty good saws. I don’t know if you have used the Yankee stile drivers before, but I have become a real fan of them recently. I recently ordered an attachment from Lee Valley that will allow me to use standard 1/4″ hex bits in mine and it will get a lot more use when I have that. I also have a Millers Falls push drill that I love to use for drilling pilot holes. Between these items and my collection of brace and bits, I don’t even use my cordless drills very often anymore. I have not owned a Yankee driver before. I’ve seen the 1/4″ adapters for them. I will likely take this approach and build my own adapter. Looking forward to using them. Thanks for sharing and remembering the previous owners of your tools. I think about who I got my tools from every time I use one. Like Doc I’m skiing down the Disston saw slope without any thought of stopping. Someone will have a field day at my going out of business sale. The Yankees are an old friend. In 1974 I worked in a modular home factory and used a Yankee screw driver to put in 32 outlets, 16 ceiling lights, 9 light switches, 1 power panel, and one porch light every day for the 18 months that I worked there. They are great tools and I still have that Yankee and er… several more in “user” condition. Hope you are having as good an experience with your users as I’m having with mine.